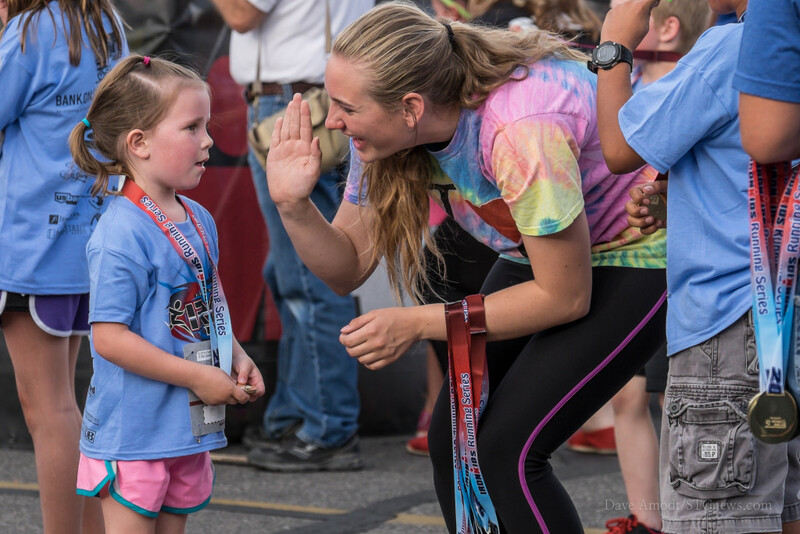 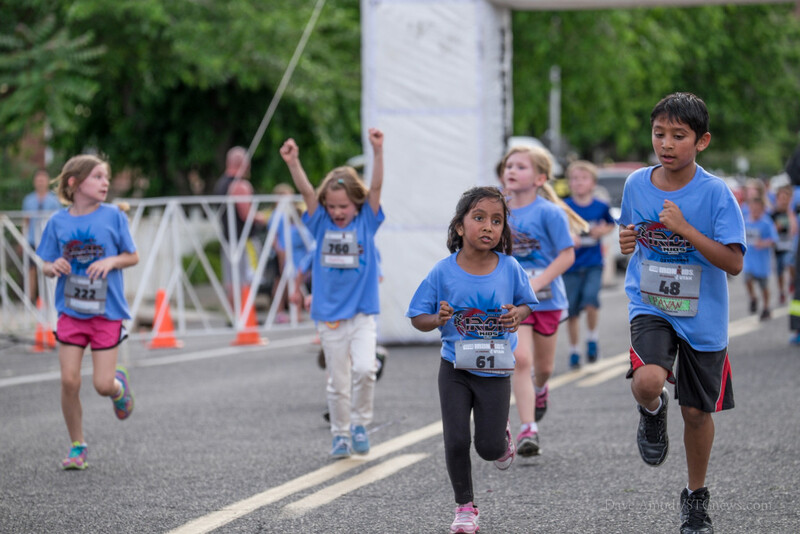 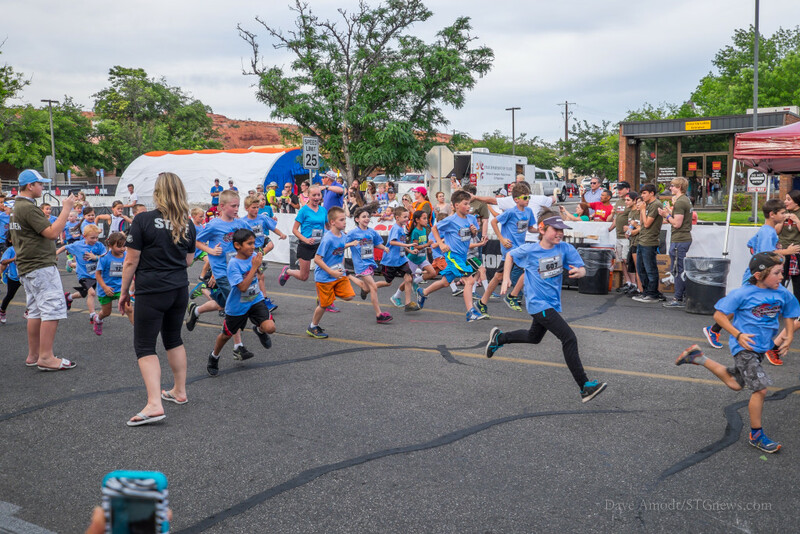 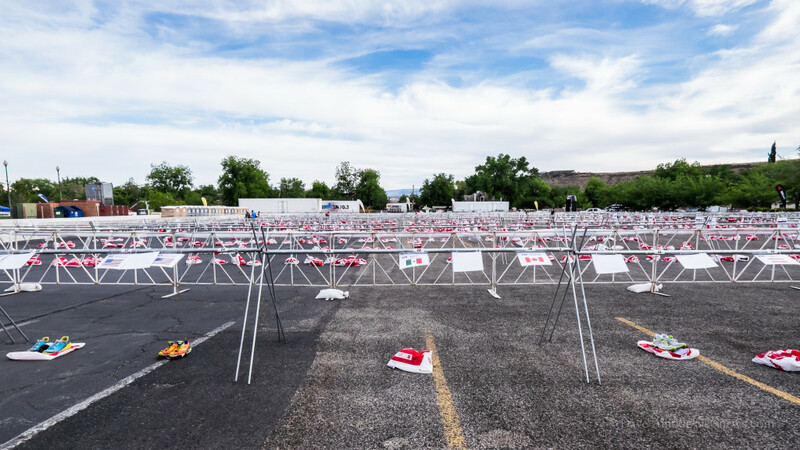 ST. GEORGE – Hundreds of kids, parents, volunteers and onlookers gathered in Town Square Park in St. George Friday evening to participate and cheer on contestants at the IronKids run. 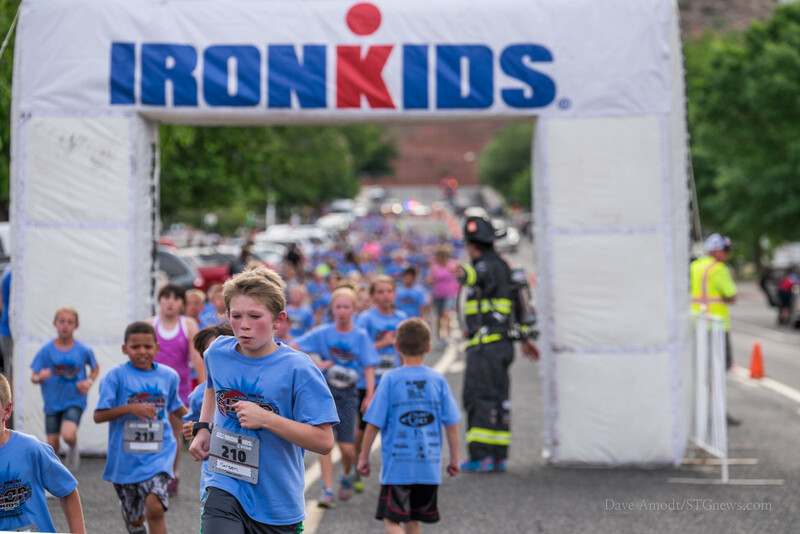 A companion event to Ironman 70.3, IronKids allows young participants to experience some of the Ironman excitement. Town Square has been transformed into Ironman village, and participating kids finished their races by crossing the actual Ironman 70.3 finish line, which Ironman contestants will triumphantly cross on Saturday. 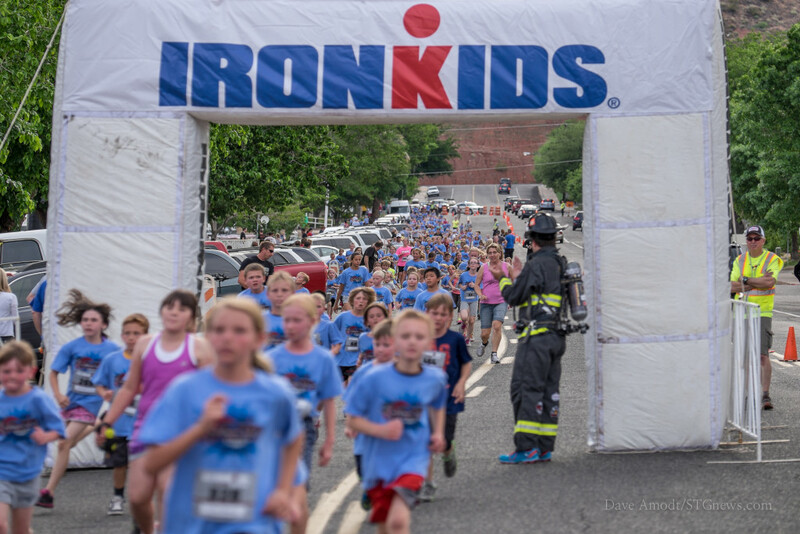 IronKids consisted of 1/4-mile and 1-mile events. 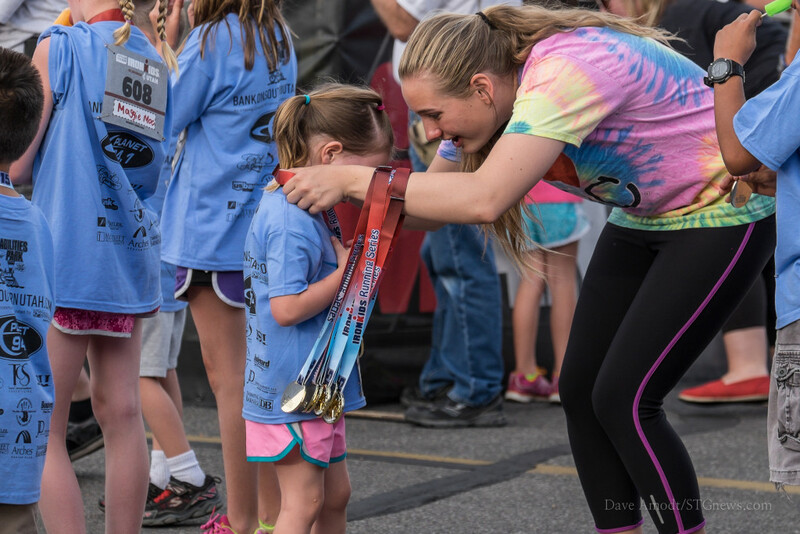 Each participating child received a shirt and a finisher medal and had a chance to take a commemorative photo. 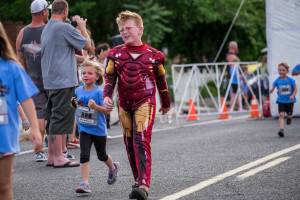 It’s good to get kids in competitive sports early, and great exercise..love the ironman, although it’s traffic congestion, the people are friendly, and it brings money in th city.